This week, Robert ponders the nature of choosing and pursuing your true talent. In the news, Google buys HTC, talent is drying up in advertising, and the Mayo Clinic finds a way to dominate Alexa’s voice search results. Our rants and raves cover predictive analytics; then we close the show with a This Old Marketing example that’s full of Fluff. (00:30): Robert muses on this week’s theme: Are you talented? (09:48): Special offer for Content Marketing World video on demand – You may have missed the show, but don’t miss out on all the insights. Videos of 100+ sessions from Content Marketing World 2017 will be available for a limited time through our video on demand portal. Register for access and use the coupon code CMIFRIENDS100 to save $100. (10:37): Content Marketing University – Fall enrollment for Content Marketing University ends today. Don’t miss out on the industry’s premier training and education program. Register today, and use code FALL100 to save $100 off a year’s worth of access. Ahrefs is a powerful SEO tool set that has many amazing tools for content marketers who’re looking to grow their traffic from Google. 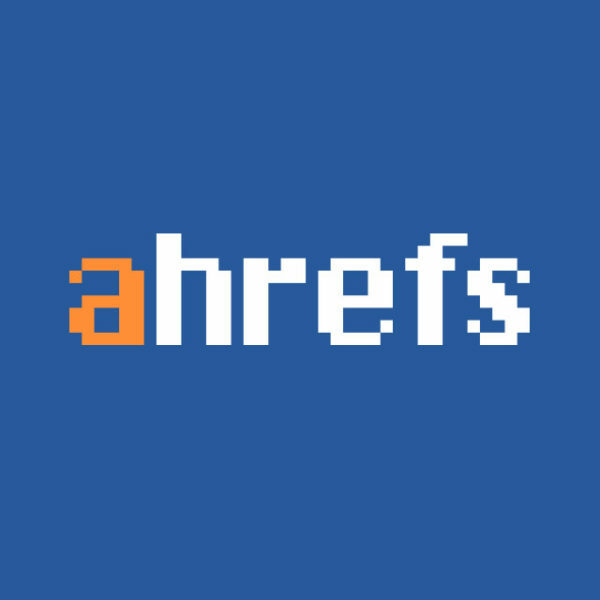 With Ahrefs tools you can easily find out what people are searching for in Google, so you can create content around the most popular search queries. You can also discover content that got the most shares or earned the most backlinks, so you can piggyback from it and get the same results. And finally, you can easily research your competitors and find out which content brings them the most traffic from Google. 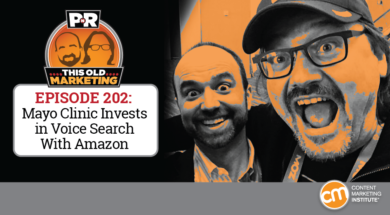 Here’s an exclusive opportunity for PNR podcast listeners: Any listener who tweets using the hashtag #ThisOldMarketing between the dates of September 30 through October 28 will be entered into a drawing to win an annual Ahrefs account plus a signed copy of Joe and Robert’s new book, Killing Marketing. One randomly selected participant will be drawn each week – four winners in total. Today’s buying committees are diverse: Millennials are already taking their seats among Generation X and Baby Boomers at the buying table, making navigating the already complicated buying environment even harder, thanks to their different preferences. 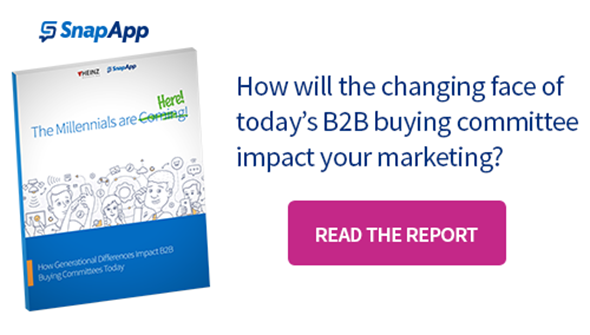 Though this shift might seem minor, it greatly impacts how marketing teams operate, sales teams engage, and how purchase decisions are ultimately made. SnapApp and Heinz Marketing recently conducted research to answer the question: How do different generations like to buy? Their report, “The Millennials Are Here! How Generational Differences Impact B2B Buying Committees Today” looks at the differences between the rising Millennial buyer, their Generation X and Baby Boomer counterparts, and how B2B marketing and sales strategies can address the gaps between them. Read the report. (42:54): Robert’s rant: Robert has long been searching for an article on predictive analytics that doesn’t make him want to roll his eyes. Unfortunately, after reading this article from Business2Community, he is still struggling with the idea that we need to get better at analytics in general before we can hope to start thinking about how to use them in a predictive capacity. (45:43): Robert’s commentary: Despite his disappointment with the predictive analytics piece, Robert was encouraged to find a measurement-related article in The Wall Street Journal that he considers to be a marketing must-read. He completely agrees with the article’s assertions that marketers are missing out on a tremendous opportunity by overlooking the growth potential and spending power exercised by the Millennial and Gen-X “cord-cutters,” whose activities aren’t being adequately tracked by the current incumbent TV planning and measurement tools. (51:11): Joe’s commentary: Last week, I gave a presentation at a mid-market consultant company near Cleveland. It was a joy to see that all their senior marketing players were present, including their CEO. Our session ended with the question I’ve been asking lately: What if everything we know about marketing is wrong?” After our discussion, we concluded that the absolute worst thing that can happen from taking a strategic approach to content is that you’ll come away with a greater understanding of why your company is spending so much time creating content. (55:44): Marshmallow Fluff: Robert has long been a fan of Fluff – that ubiquitous marshmallowy spread that has lent its gooey sweetness to fluffernutter sandwiches and other tasty treats around the world for the past 100 years. But after discovering this profile piece on the Skyword blog, he has gained a new-found respect for the company’s skill at creating sticky content efforts, too. According to the company’s official history, H. Allen Durkee and Fred L. Mower purchased the recipe from its original owner and began manufacturing Fluff in 1920. The business did reasonably well for years; but its marketing efforts hit a real (sugar) high once it entered the golden age of radio. 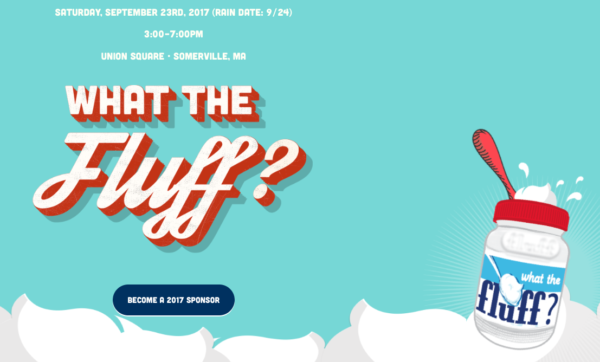 Instead of creating standard radio ads that interrupted programming, Fluff decided to create its own music-and-comedy variety show centered on three sisters, called the Flufferettes. Furthermore, in each episode of the show, a fictional “Boston scholar” named Lowell Cabot Boswell would mention that he had a very important book coming out, which listeners at the time believed to be a historical text. However, it ended up being a Fluff cookbook: The Yummy Book – which featured recipes for cakes and other sweets made with Fluff, and is still available today.